We finally get our live-action Pokémon movie, and it’s Detective Pikachu. That’s fine, as long as they get some top-notch talent to play the pocket monster sleuth, and the makeup is good. Perhaps we can show them how it’s done. Originally posted 7/27/2016 — Three days or so left to present your casting choice for live-action Pikachu. The competition is fierce and mustachioed. 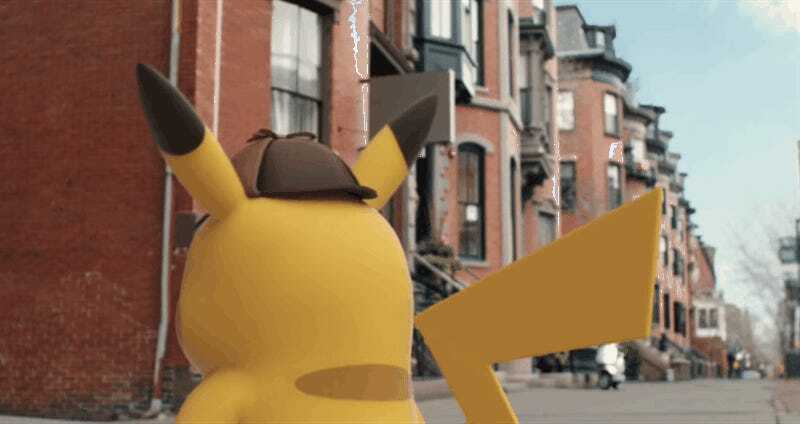 What, you think they are going to do a CG Pikachu? Have the practical effects of The Force Awakens taught them nothing? While I will accept a puppet if worse comes to worse, what I really want is a recognizable actor, male or female, made up to look like a Pikachu detective. Think you can do that? Think you can do that without it being Danny DeVito? We shall see, next Saturday but probably Sunday, when the judgening occurs. Not a lot of hand-holding here. Just go crazy. Do it with love. I believe in you. In fact, I choose you.